There are two ways to see ,understand and assess a law & order issue : the conventional way ,to tackle it from enforcement and legal angle and explore a solution through oft-repeated path of development .The former has been attempted in the country and outside several times and on several occasions but latter is resorted to sometimes under duress, sometimes by design. Expenditure on building infrastructure is always an expensive and risky proposition but same is a double edged weapon. More than helping the law enforcing agencies, it eases the task of the trouble creator or the perpetrato , so much so that the policemen or para military forces fall in trap, every now and then. There are instances in all the states. It goes without saying that the outlaw has better education, sensitization,intelligence as also latest weaponry and communication devices. The difficult path of education together with providing basic health care , that too in a remote, far-flung and dense jungle area is adopted or taken up, nevertheless by a few dare- devil individuals with a missionary zeal to identify , quantify , make selections and ultimately perform tasks where in the normal official channels simply do lip service or fail altogether . Taking a cue from the 7th May 2015 visit to the most challenging and disturbed area of Sukna (Bastar) in Chhattisgarh by the Prime Minister, I was reminded of my own visit to the Abujh Maadh area of now Narayanpur Dist. of the then undivided MP in December 1998 (as Observer of ECI ).I had the fortune and the privilege of seeing the commendable work of Ram Krishna Mission in a secluded corner of once mammoth Bastar Dist., which became Kanker Distt. 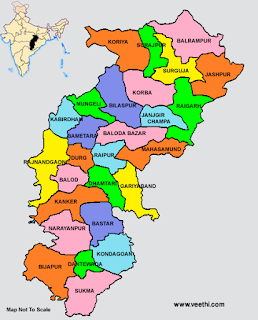 And was subsequently re-christened as Naranyanpur Distt. During my short stay of three weeks in the soothing winter of 1998 , the Left Wing Extremists had begun the process of consolidating their hold and had started targeting as also hitting the innocent people, who mattered for them.But the situation was not as alarming as it is at present. Even though the village of Abujh Maadh ,surrounded by almost 60 to 70 percent forest , was away from my earmarked jurisdiction ,I ventured into the area in a private jeep, my PSO lying on the floor and reached the place one day at dusk. It was an honour to interact with the missionaries, the teachers and the innocent, little, Adivasi children. Apart from the rise in literacy from three percent to thirty percent and some indelible dent on the health indicators, due to efforts of R K Mission , the overall sense of security and hygiene inculcated among the tiny tots and the youngsters was something which could be termed amazing , say 17 years ago. Performance of a ‘mobile Kirtan’ by the motivated students and teachers for an hour before dinner still rings very nicely into my ears .What a solace I got. 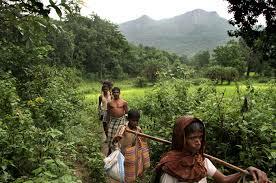 It is not nice but sorry to hear about the plight of the said village and its surroundings after so many years . Much against the advice of then Collector, Kanker , Shri Ajit Keshri, I had under taken ena tour and closely followed the developments concerning elections till the time we took off from Raipur Airport. 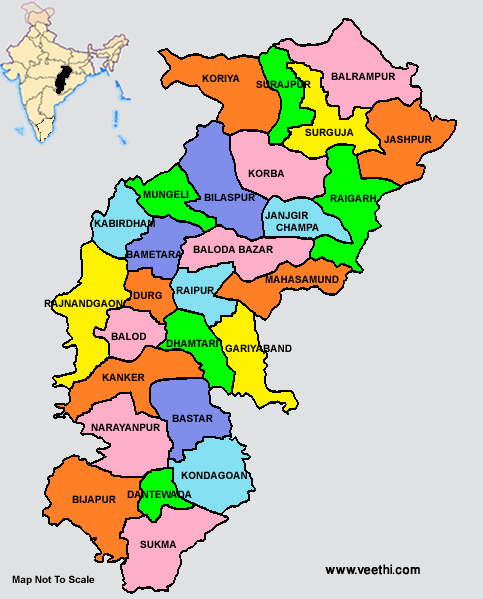 I should however, thank my name sake in Madhya Pradesh Cadre for not only igniting my interest in this location situated at the tri junction of Chattisgarh, Maharashtra and Andhra Pradesh but also in sustaining my thought process as and when politicians or bureaucrats get kidnapped by the Naxals. It goes on to show that neither the hit and run nor casual service in the name of development works .What is more important is ensuring a situation which leaves no scope for neglect but resolve to take every one in stride. It is also a fact that to keep the vested interests alive,sincere efforts of even dedicated and honest officials is blocked or impeded. Also in some portions, it is not lack of money but it is free flow of money that causes division and dissatisfaction and ultimately a movement or a rebellion is the natural corollary. Perhaps a regular review and rethinking together with periodic shuffle of officials may help.